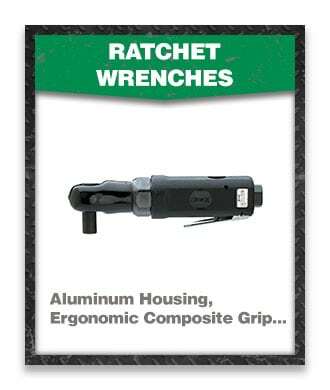 Impact wrenches are the true workhorses of industrial power tools. These incredibly powerful tools make easy work of any job in a variety of applications. Before the creation of impact tools, workers had to manually strike a hammer against a hand wrench in order to loosen or tighten nuts or bolts. They could only manage a few blows per minute. But today’s impact wrenches can exert more powerful blows, and some can produce up to 1,200 blows per minute. This is accomplished by using the energy of compressed air and converting the motor’s torque into a rapid series of powerful rotary impacts. Sioux Tools offers Force Impact Wrenches and Impact Drivers in a wide variety of configurations to meet your specific needs. Choosing the right mix of features such as handle configuration, type of retainer, torque output, anvil length, and drive size will make operators more productive, with less risk of discomfort and/or injury. Built to a higher level of quality, Force Impact Wrenches and Impact Drivers are built a step above the standard. Manufactured from high quality materials, and utilizing the most advanced motor and clutch designs, these tools are constructed to hold in the toughest working environments. 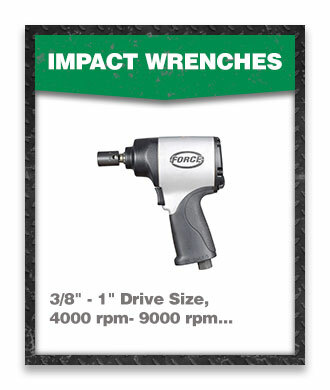 Force Impact Wrenches and Impact Drivers provide a high quality, cost-effective choice for your impact requirements. 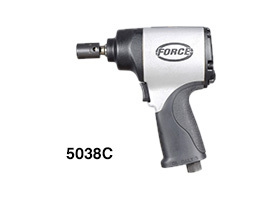 Featuring one of the widest selections of impact tools for general industry, Sioux Force impacts reach all aspects of the maintenance and repair market and beyond to manufacturing applications. With drive sizes ranging from, 1/4″ (6 mm) to 1″ (25 mm), including hex quick change drives, and torque outputs up to 2700 ft lb (3661 Nm), finding the tool to meet your performance requirements will be simple.